“In some way the future of civilisation in Europe will be decided on what our attitude is towards the great churches and other cultural buildings of our heritage standing in our midst,” writes @DouglasKMurray. Imagine how the Hindus felt when Muslims tore down Somnath, and all their other ancient temples and libraries. 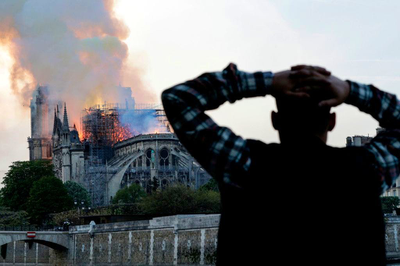 My horror at the #NotreDame fire really drives it home. Build the #RamMandir, Mr. Modi. "The future of civilisation in Europe will be decided on what our attitude is towards the great churches and other cultural buildings of our heritage standing in our midst. Do we preserve them?"